Climb into a saddle and let us provide family friendly wilderness camping and fishing. Here are a few things to look forward to. The most beautiful fall colors in the Eastern sierra are near Mammoth! 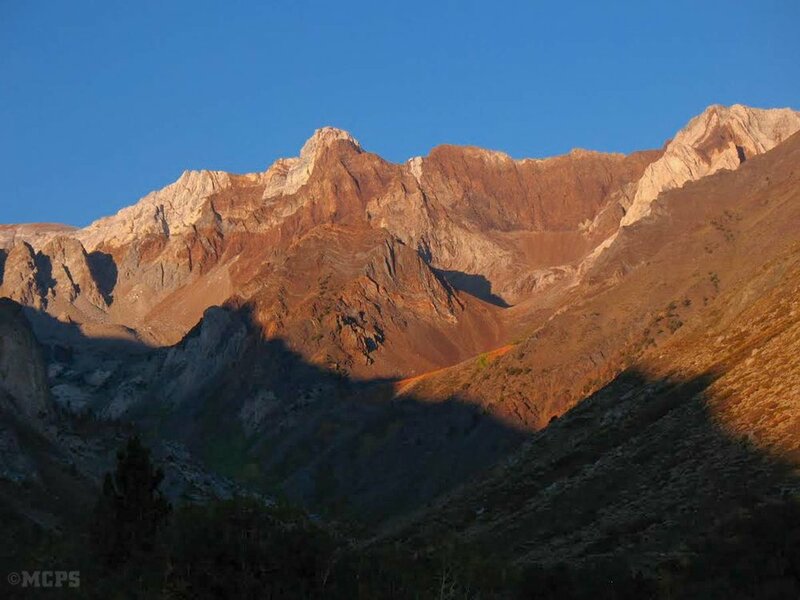 McGee Canyon is known for displaying some of the most spectacular fall colors in the Eastern Sierra! With a trailhead located a bit lower than most in the area, we get a transition of colors starting with the Quaking Aspen at 9000’ down to the Cottonwood and Rabbit brush at 7500’. Prime time ranges from mid-September to mid-October. 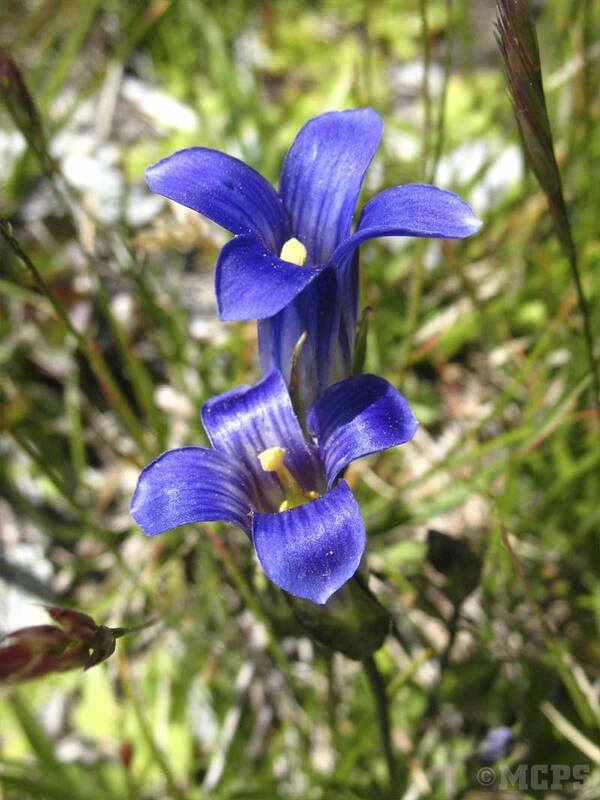 Don’t miss our mountain wildflowers in bloom! 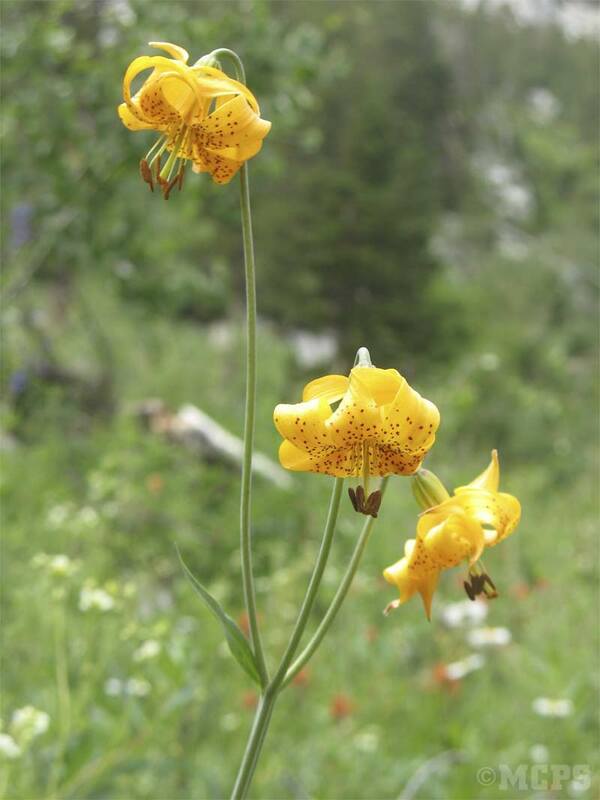 Also known for breathtaking displays of wildflowers, McGee is the place to be in June, July and even August (for higher elevations including Upper Fish Creek). What better way to see the magnificent flower displays backed up with expansive scenic views of surrounding mountains than in the saddle? It’s one of the top 10 things to do in Mammoth! Many universities focus their field trips in McGee Canyon. Unique striated rock, metamorphic red rock jumbled with granite, creates one of the most breathtaking displays of geology in the area. Both McGee and Convict basin’s offer color and geologic views that will thrill not just geologists but admirers of stunning rock formation. Mt. Baldwin, Mt. Morrison and the Sierra Crest provide the centerpieces of this majesty. Fault-lines, springs, and unique formations await travelers. Photo courtesy of Margaret Bailey. Photo taken by her father, UCLA Geology professor in the 1950s. There’s nothing like riding a horse up to great wilderness fishing! McGee, Hilton, Convict and Upper Fish Creek offer a variety of Rainbow, Brook and Golden Trout. 3-4 pound brook trout are not uncommon in little-visited Hortense Lake. What’s your pleasure? Pure golden trout in Izaak Walton or Cloverleaf Lakes, fun fishing for children in Round Lake, or stream-fishing in Fish Creek that challenges the most versatile fly fisherman? It’s all here.